A Philippines record 604 entries turned up for APPT Manila and YuanChai Li led Day 1a. Last year’s Main Event set the record for the largest international tournament with a buy-in of ₱30,000 or more in the history of the Philippines, attracting 594 entrants and generating a ₱28.8 million prize pool. This year's event not only broke that record but did it on the first flight, collecting 604 entries from 479 unique players on Day 1a and accumulating a ₱29,001,060 million prize pool up till now. There were just 167 remaining when the last chance saloon had closed for business in the APPT Main Event ₱20M GTD and it was China native Yuan Chao Li who bagged the chip lead with an impressive 430,000 in chips. 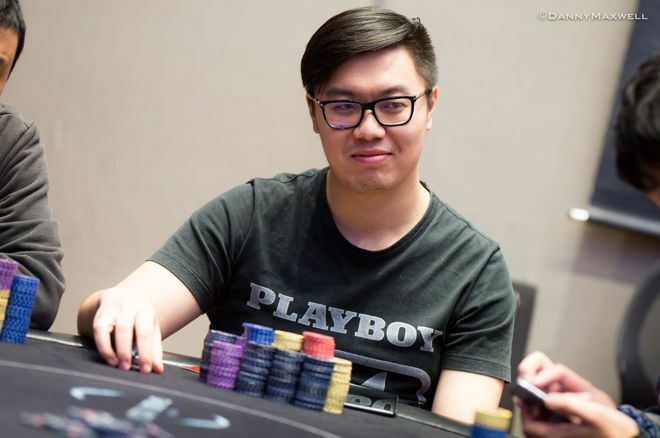 Some other players to find a bigger than average stack at the end of day include Mingyang Liu (366,400), Boon Seng Ang (315,700), Jun Obara (310,700), and Ming Huang (301,800) who round out the top five. Some notable players to make it through Day 1a include Martijn Gerrits (214,500), Kitty Kuo (188,800), Filipino native Florencio Campomanes (142,700), and PSPC Patinum Pass winner Tsolmon-Erdene Ochir (118,300). Some well-known players to fire at least one bullet in Day 1a of this event but not make it to Day 2 include the likes of Aditya Sushant, PokerStars Team Online Pro Randy Lew, PokerStars Team Pro Celina Lin, Alan Lau, James Mitchell, Mike Takayama, and Park Yu Cheung. Day 2 of the Main Event will resume on Saturday, August 11 at 14:00 local time. The remaining players from Day 1a & 1b will play ten 60-minute levels, with a 15-minute break every two levels and a 60-minute dinner break at the end of the sixth level (level 18). Any player that made it through on Day 1a has the option to register as well for Day 1b and if they make it two times, the smaller stack will be surrendered and no player can cash with more than one stack. Day 1b has a start time of 18:00 local time and will play 12 levels of 45-minutes in length, with nine levels of late registration. The PokerNews live reporting team will be bringing you full coverage of the remainder of the Main Event. So check the PokerNews Live Reporting section for all the updates.